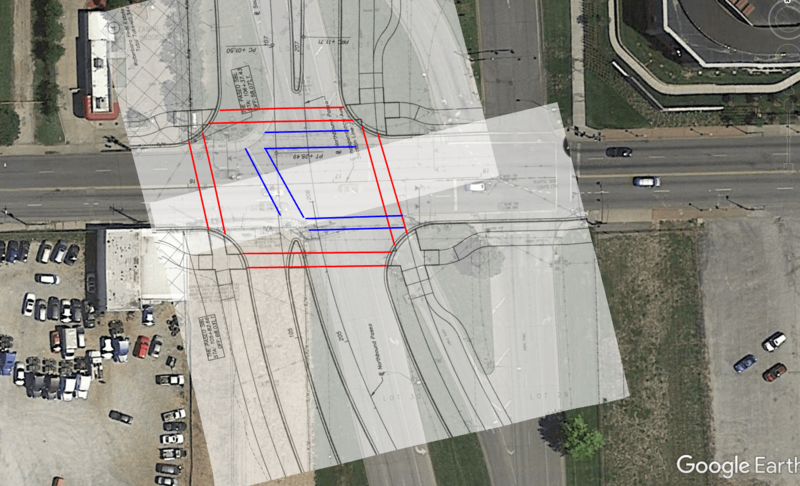 A new design for the dangerous intersection of Independence Avenue and The Paseo would actually insert a suburban-style intersection in an urban neighborhood, and you can provide your input at a public meeting on Tuesday, April 24th. KC Parks is redesigning this intersection and the new design they are unveiling on Tuesday unfortunately is a case of two steps forward, one step back for pedestrians. In light of these concerns BikeWalkKC sent this memo to the KC Parks Department, Missouri Department of Transportation, and the project’s engineering consultant.